NOTE: This post has been around for quite a while, but it still relevant to anyone who owns a Nook Color tablet and wants to be able to access the Google Play library of apps and have a lot more functionality. Read all the way to the bottom because there is a tip there that can make it even easier!! Tablets were definitely THE Christmas present of 2011! With options like the iPad 2, Kindle Fire, Nook Color and Tablet, the Samsung Galaxy and a host of other offerings, consumers went tablet-crazy and electronics stores nationwide sold out. I already had an iPad, so I knew how great these devices were and when my wife and I decided to get my daughter (who is a voracious reader) a tablet, I felt like it would be an easy decision. Little did I know…. What I settled on was the Nook Color. For $199 from Barnes and Noble, this 7″ tablet offered a great UI, SD expansion card slot, and the ability for my daughter to check out eBooks from the local library and lend books to her other family and friends who also have Nooks. For the first week, everything was great! That was until she discovered that the Nook Color didn’t have access to the Android Market. No Fruit Ninja? No Falling Ball? Where are all the free apps? The Barnes and Noble store had a few free games and apps, but because she has to pay for her books and apps from her allowance, she was unimpressed with what the Barnes and Noble store had to offer. So she asked me for my help and me, being my overly-geeky self, resolved to figure it out. After combing through a lot of the developer forums and walking through the steps, I got it figured out and was able to load the latest Cyanogenmod version of Android onto an SD card. Since the Nook Color BIOS looks as the SD Card as the primary bootable device, when it is turned on, it always looks to the slot first to see if there is a bootable OS loaded there. The really, really cool thing about this is that you can load Android onto your SD Card and have a fully operational Android tablet. Then, when you want to switch back to the Nook UI, you just turn off the Nook Color, remove the SD card, and then boot it up. Best of all…your Nook warranty remains unharmed because you didn’t root your OS. For those who aren’t aware, the term “root” is used to basically unlock your Android device by overwriting the operating system that came with the device with a new, unrestricted version. Doing so does void your warranty. What makes this even better is that it takes about 15 minutes and the software is ALL FREE. Yes…I said free. The only cost is the actual SD card itself. Obligatory Warning: I can’t be responsible for any damage that might occur to your device. If you don’t know how to install software and transfer files, then you might rethink this and just leave your Nook Color the great device that it is. Since we’re only putting files on an SD Card and then booting up your Nook, there shouldn’t be any way to actually damage the Nook, but any risk you take is your own choice. Here’s the best part, though. You don’t have to read a bunch of developer blogs and do any trial and error. If you’re ready to give it a shot, check out these great step-by-step instructions on creating the Android image on your SD card. Huge props to Dusty of TheDustyBlog.com for bringing them together and making it really easy to follow. NOTE: It looks like the owner of The Dusty Blog has taken their site down. Too bad, because they have a really easy-to-follow tutorial on creating a dual-boot SD card for the Nook Color. 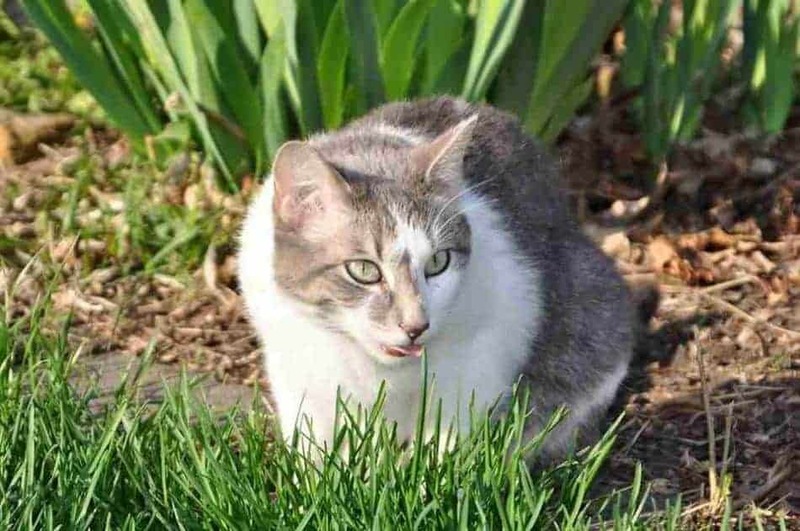 Don’t fret, though, because the tip at the bottom of the article is just as easy to get the job done! I only wish I had found his blog before I had gone through the process. Take your time, don’t skip steps, and in about 15-20 minutes, you’ll have a full-blown Android tablet. 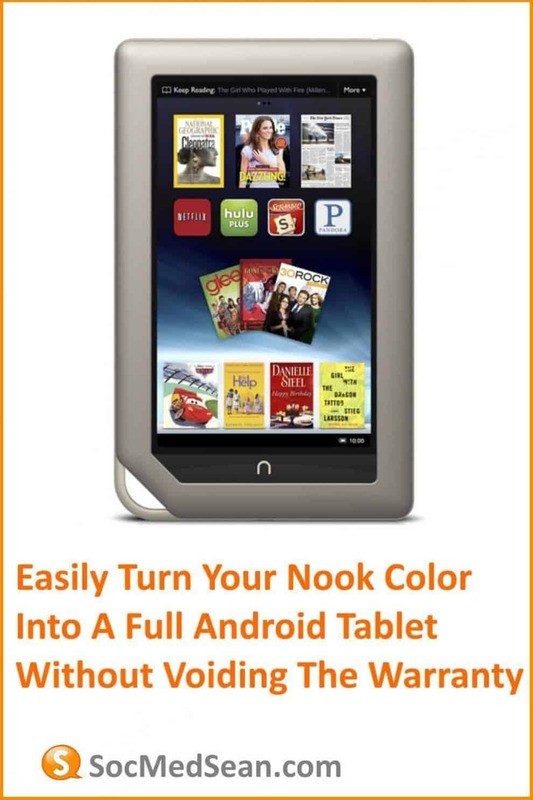 Update – Converting your Nook Color to an Android tablet just got easier! If you really aren’t technical and you’re worried about following the steps outlined on TheDustyBlog, there is now an alternative. You can now just order an SD card from N2ACards.com and they will ship you an SD Card that you can just pop into your Nook Color and boot right into Android. Just like the instructions above, you can simply power down the Nook Color, remove the SD Card, and power the Nook Color back up and you’re right back into the Nook flavor of the OS. Cool! Good luck! If you have questions be sure to leave them in a comment below and I’ll try to help out!